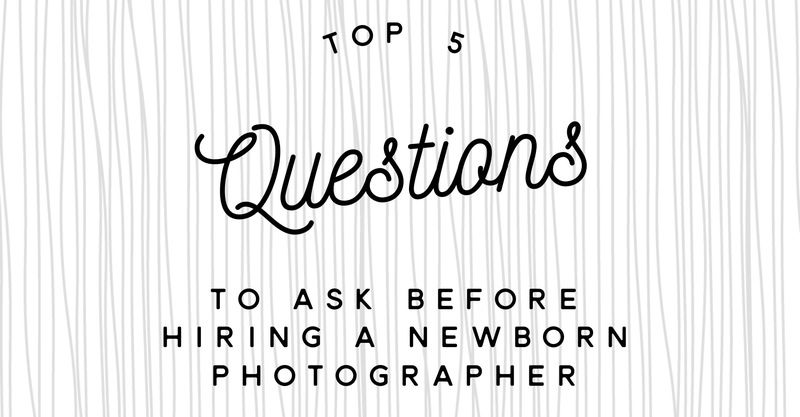 Selecting a newborn photographer is such a big decision and should be taken seriously. As you would expect, each photographer has a different style; an unique way of capturing moments that you will cherish for a lifetime and will eventually pass on to your child and their new family. Choosing someone who has beautiful images is important but there are several other factors to consider. Newborn photography is unlike any other type of photography session. There are safety factors to consider along with a very specific set of editing skills needed. I suggest speaking with a friend who has recently worked with a professional newborn photographer and ask them what they liked or wished was different in their experience. I have been photographing newborns for going on 3 years and I myself have changed different aspects about my business based on feedback from my clients. 1.What training have you received in newborn posing and safety? Don’t feel rude asking this question. You need to know! While newborns are quite moldable and used to being curled up, there are safe and unsafe ways to achieve the adorable newborn poses you love. Please know the images depicting newborns in the “froggy pose” with their head in their hands appearing to hold their head is a composition of two photos. If this is a pose you want, please ensure you choose a photographer who has proper training in posing and editing and note that photographers cannot guarantee to achieve any pose because newborns are sometimes unpredictable and each have a personality of their own. 2. How long will the session last? This answer will vary from photographer to photographer so this question is a very important one to ask! Will the session last 30 minutes or 2-4 hours? Newborn sessions vary in length depending on the type of session and how well the baby sleeps during the session. If you are wanting a lifestyle session, your baby will likely be in your arms most of the time so they don’t have to be sleeping. Alternatively, in studio newborn sessions typically require babies to be in a deep sleep to safely achieve the poses you love. Because of these differences, some sessions require more time to soothe and nurse your baby. The answer to this question will also help you understand the photographer’s priorities and allow you to hold them to their commitment. 3. When does the session need to be booked? Some photographers operate a high volume business model and allow for last minute bookings while others only accept a set number each month and require you to book months in advance. To be sure you get the photographer you want, I recommend starting your research once your doctor has confirmed your pregnancy. You don’t want to miss out on your favorite photographer because you waited too long! 4. What is your pricing and product offering? Pricing is typically the first question prospective clients ask but I urge you to look beyond the price as most photographers have an option for all budgets. When choosing a photographer, you should think about your goals prior to speaking with them so you choose someone who has offerings for the outcome you’re looking for. Consider if you will need a gallery of images to display in your living room, a beautiful heirloom album, a canvas to display over the crib, birth announcements to send to family and friends, or gift prints for adoring grandparents. Session fees will vary from photographer to photographer and are typically followed by ordering requirements so you want to be sure you understand those price ranges for the various product offerings. Some photographers even offer a payment plan option as well as the ability for family to purchase gift cards towards your newborn ordering appointment. This is a pain point of many new moms. They never asked the question and are left waiting anxiously for months. If you are hoping to send birth announcements, you want to be sure to ask this question so you aren’t sending announcements out when you little one is 3 months or older. When comparing prices, be sure you are comparing apples to apples and consider the answers to these 5 questions! You can expect a highly trained newborn photographer that allows plenty of time for soothing and nursing and who has a quick turnaround time with gorgeous products to charge a little more than a photographer who doesn’t meet those qualifications. At this point it’s up to you to put a value on the answers each photographer provided. You are carrying the most precious gift and you deserve a photographer who can create art worthy of your family. I wish you the best of luck finding a newborn photographer that fits your style, can provide the products you need and work within your budget. If you feel that I’m the photographer for you, I would love to schedule a pre-session consultation to discuss these questions and more!